From single-day workshops to week-long offsite retreats, we work with you to deliver custom strategic and product planning workshops, and to facilitate the most productive sessions you and your team have ever attended. Implementing a new strategy is like refuelling a plane in flight: you need to run your existing business while implementing your strategies and plans. Our expert leaders help you achieve the goals identified in our workshops. There is a myth that most innovation happens when a lone genius has an ‘a-ha’ moment. In practice, innovation is a team sport, and we have developed practices to successfully deliver your innovative technology projects. Delivering world-class results requires experience, an eye for innovation, and the ability to translate strategy into actionable plans that achieve rapid results. Our workshops and retreats focus on vision and strategy, and always include plans for successful implementation. We advise rapidly-growing tech companies, global enterprises, universities, and non-profits. This enables us to apply lean, agile concepts to large organizations to drive innovation, and to help startups scale to meet market demand without sacrificing agility. With Illume Consulting, you get the experience usually found in large consulting firms, in a lean and personalized package. We help you develop strategies that are actionable and achievable, build product roadmaps that fit your market niche, and scale your product organization. 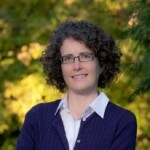 Michele is an entrepreneur, advisor, technology strategist, and expert facilitator with 25 years of experience from Wall Street to Silicon Valley. She has facilitated hundreds of successful workshops, delivered strategy and technology projects up to $25M, and advised executive teams on achieving breakthrough growth. 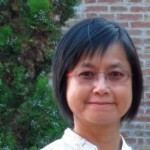 Yee brings over 25 years of software industry experience to Illume Consulting. She launched a series of new products at Top Producer Systems, including Market Snapshot, winner of the 2007 BCTIA Impact Award. Prior to that, Yee was VP, Product Development at Pivotal Corporation. Read more About Us and the Work We Do. Or, contact us today to find out how we can help you. I recently had the opportunity to be a mentor for the entrepreneurship@UBC program, for the Screw Cutter Project, and I would highly recommend getting involved as a mentor in your local area. Over the past few weeks, I have spoken with directors and executives at a range of organizations, and I have heard one thing consistently: they want to learn how to get the most out of their strategy and planning retreats. To learn more, contact us. We would love to hear from you!